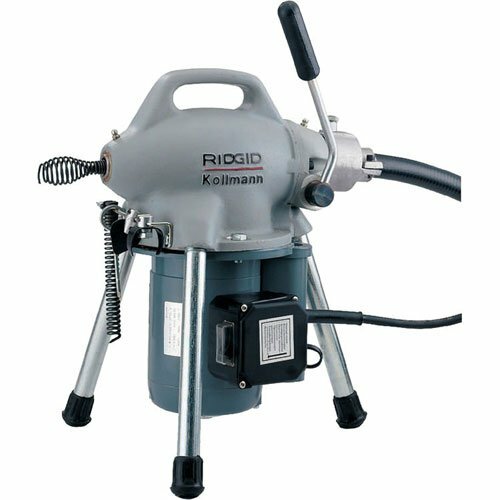 The RIDGID K-50 Sectional Machine is the perfect, all-around sink, shower and floor drain machine that weighs less than 40 lbs. Capable of running three different size cables: 5/16 inch (8 mm), 3/8 inch (10 mm), and 5/8 inch (16 mm). Ideally designed to clean 1-1/4 inch to 4-inch drain lines. Includes: RIDGID Sectional Machine K-50 drain cleaning machine and operator's manual. K-50 is designed to use 5/16 inch, 3/8 inch, and 5/8-inch diameter sectional-type drain cleaning cables (Sold Separately) that have a quick change coupling system for disconnecting tools.